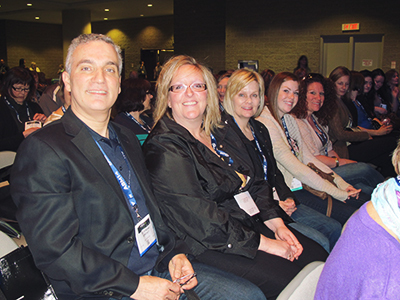 On May 8 - 10, 2014 Dr. Benedict and his team attended the Ontario Dental Association Annual Spring Meeting. This year's keynote speaker was Colonel Chris Hadfield – what an outstanding start to the convention! Everyone was able to take advantage of some of the many courses offered, including sessions on the latest in pediatric dentistry, caries management and periodontal maintenance. As always, the exhibit hall was filled with the latest in dental technology and equipment. Every year it's an awesome opportunity to touch base with colleagues, representatives and dental educators. Stay tuned for upcoming articles and exciting dental news. Please RSVP by July 10, 2014 by calling 905-885-5303. Dr. Benedict wants to send you and a friend to cheer on the Argos! All patients in for their appointments between May 1, 2014 and July 4, 2014 qualify for a chance to win 2 free Argos tickets for any regular 2014 season home game. Dr. Benedict will be sponsoring the Blood Donor Clinic at the Port Hope Lion's Recreation Centre on Monday, June 16 from 2:00 pm - 7:30 pm. Come by and show your support! We are hosting our Annual Sports Mouthguard Clinic on Wednesday August 13, 2014 from 5:00pm — 8:00pm. At Port Hope Dental, we use Zoom Whitening to give our patients the brighter smile they've been longing for in one short visit. If you're looking for a powerful whitening solution to take home, take advantage of our whitening special. We're offering $100 off our take-home whitening kits (valid until June 27th). Click here for how we can help give you a brighter smile! Looking for the perfect recipe for your Father's Day BBQ? Fire up the grill and prepare for a culinary escape to paradise with these yummy Hawaiian Chicken Kabobs! This recipe features succulent chicken (marinated to perfection for best results! ), pineapple chunks and ground ginger. Enjoy a flavourful treat this Father's Day, but remember to keep this recipe on hand; you'll definitely be revisiting it this summer!